Players have been able to enjoy popular indie-platformer Cave Story across a number of different gaming devices, most notably including the PC, Wii, Nintendo DSi, Nintendo 3DS, and even the PlayStation Portable. It hasn't come to the Switch just yet, however, and though fans of the game long ago heard mention of the game's upcoming Switch launch in June, they weren't given the full details of what bonuses the latest version of the game would include. 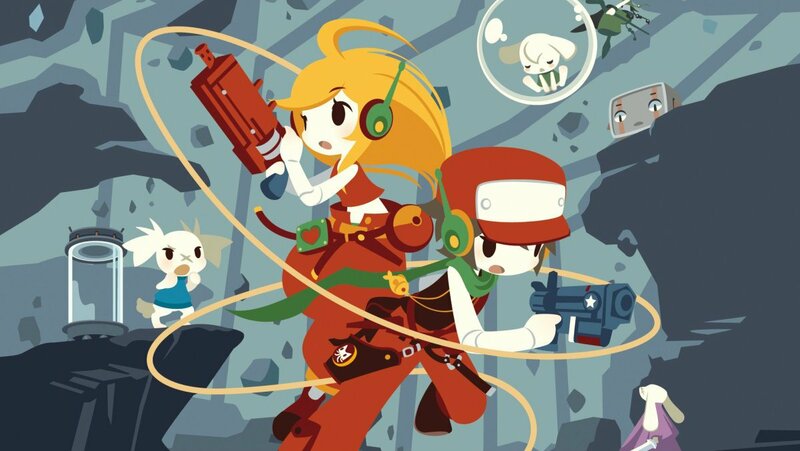 That's changed, however, as Nicalis recently posted up a tweet showing everything players can expect in the Nintendo Switch package of Cave Story+. Includes color Instruction Booklet + Famitracks 3" music CD! As can be seen from the image, the Switch-exclusive version of Cave Story+ is set to include a premium full-color 32-page instruction booklet as well as a mini-CD containing what's being referred to as Cave Story+ Famitracks. In addition to the miniature CD soundtrack, which was the previously-touted mystery exclusive, Nicalis has also mentioned that the Switch version of the game will include updated graphics, new levels, new gameplay options and challenges, and the company has announced plans for future releases of totally-free downloadable content. Cave Story+ will be released for Nintendo Switch on June 20, for an expected retail price of $29.99. Looking for more great Switch games? There are several exciting titles featured on our list of the Best Nintendo Switch Games.